King/Comfort Sofa Sleeper Matching Love Seat from Pottery Barn on Quiet Side! Meet or Beat any Comparable Offer - make me an offer. NEW DELUXE COMFORT SOFA SLEEPER FROM POTTERY BARN. NO BARS, NO SPRINGS!!!! Sleeper Sofa features an extra-long plush mattress and an innovative design. Tiffany 24/7TM Convertible Mechanism with no metal bars or springs. New matching love seat, too. New leather bar stools - Relax and Enjoy!! I WILL do my best to beat or match any advertised rate and you get a quieter unit!. The cheapest rates will be for 5 night or longer stays within one calendar week. We will give deals to fill in holes. NEW GRANITE AND 1 CORNER SINK. No building is closer to the slopes at Winter Park resort than Riverside. Unclick your skis, store in the locker room and ride the elevator to the third floor. Don't be fooled by claims that other locations are ski-in, ski-out. They're not. Riverside has two large hot tubs for your relaxation, and there is a fitness center where you can work out. There are plenty more outdoor winter activities for adults and children, e.g. skating, and the NEW TUBING HILL! I will work with you on any cancellation as long as I can get it rented again. Over the years, it has happened approximately 5 times and I was always able to get the dates rented and refund the payment. **Ultra-premium Linens from Pottery Barn** My unit has upgraded linens include ultra soft thick oversized towels and high quality bed linens. I have also added in the hot tub towels (yellow). Please don't take my white towels to the hot tub!! ALL of the linens and towels are mine. Please do not give them to the lodge staff. In the morning, while you sip Starbucks coffee in your king-size bed, you can look outside and and see the action. Then walk a few steps to the ski locker and swoosh - away you go. When you are ready for a break, just ski back down to your door from any of the slopes in the WP resort and fix lunch in your well-equipped kitchen. The condo sleeps up to 6. I have added in a new air mattress with a memory foam!! This 600 square foot 1 bedroom, 1 bathroom condo is located on the 3rd floor and on the quite side of Zephyr. The entryway has mounted hooks and a bench for the storage of vacation gear. The living room features a flat screen, a beautiful gas fireplace and a queen-sized sleeper sofa. Additional sheets and blankets are in the closet. The private balcony is located just off the living room and offers a view of valley and the rockies! The full-sized kitchen is stocked with all the essential cookware and tableware to make a meal away from home. 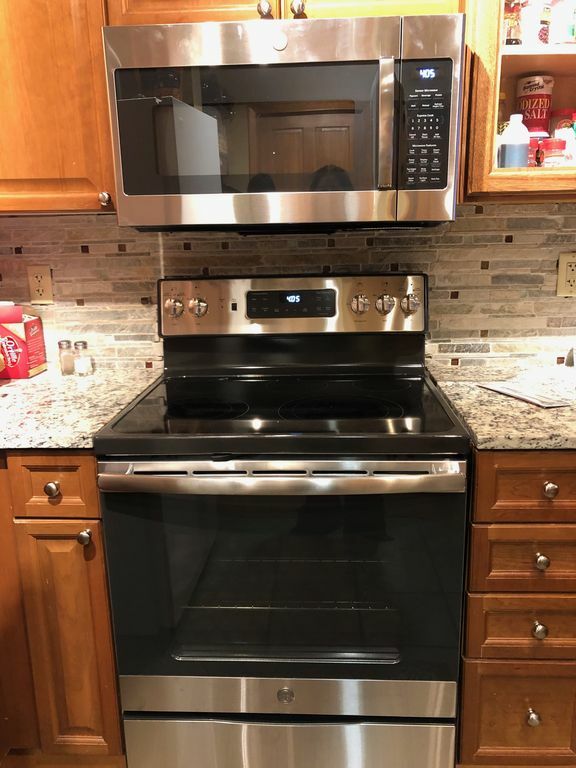 The kitchen is well stocked with china, glassware, silverware, fridge, stove, oven, microwave, coffee maker, waffle maker, toaster, grill, and a crock pot. Tea, Starbucks coffee, olive oil, spices and condiments are provided. So are the laundry essentials. Eat at the new granite bar counter and 4 bar stools. The full bathroom features a pedestal sink, shower/tub combination and built-in storage for towels. The bathroom is stocked with towels and toiletries. The bedroom features a KING-sized bed with POTTERY BARN bedding bedding and a mounted flat screen TV. From the window there are views of valley. (For additional sleeping options I have also included a memory foam air mattress - it's in the corner. Please don't over inflate and return to the bag when you're done. ENHANCED GUEST SERVICE: Rest assured that this home away from home is professionally managed by ME THE OWNER!! My cleaner and our maintenance man is available 24/7. The Ultimate in Ski Luxury! PREMIER property just steps to the Zephyr Express Lift, which serves three connected mountains providing 1300 acres and 3000 vertical feet to challenge every level of skier. Imagine drinking your morning coffee on the deck. You can't beat the location of Zephyr and this unit. You step out the door and fall onto the lift and the pedestrian village. This unit is furnished with linens and liquid soaps/lotions but doesn't offer daily maid service nor daily trash pick up. I mail you the key, and you go directly to your unit and you do not have to hassle with checking in with the front desk. Underground Parking (not included in the price), Your credit card will only be charged $16 for 24 hours and thee is an hourly fee, too. The first 2 hours are free, after that - you have to pay. There is no free overnight parking anywhere near the resort. Workout room, ski lockers on the ground floor, Ski out to winter wonderland and fantastic skiing! I live in Denver with my husband and we have two grown boys. I LOVE WINTER PARK! And Zephyr Mtn - what's not to love!! You can't get closer and I do everything I can to make your trip the BEST it can be. Grand County - What more do you want? The location was perfect and the condo had everything we needed! Carol was very responsive. Perfect location. Condo was very clean and very well stocked. Owner provided clear instruction for arrival/departure. Would rent again. Great space for family of four. Perfect location. We had an excellent 7 night stay here. The condo is comfortably furnished and is convenient to the slopes. The ski lockers were large and easily accessed. The owner is attentive and very easy to work with. We plan to stay in this condo next year. Carol is such a great person to rent from. Great communication and more than accommodating. Her place is amazing with all of it's interior amenities. The exterior amenities require very little driving with lots of access to hiking and biking right out the front door. Keeping it on our list to go back to. Whoever visits in the future, enjoy, it is a gem! Very nice condo, great location. Well kept, wonderful having balcony &location is hard to beat. Hummingbirds were just an added bonus. We plan to book again for skiing & may come back next summer as well. Very comfortable and having our dog made it all that much better. Would definitely recommend! Downhill & Cross County Skiing, MINIMUM THREE or FOUR NIGHT STAY - CLEANING FEE OF $100, or stays of 7 nts I'll pay the cleaning fee. If paying by credit card, I will deduct 3% from the damage deposit refund. International credit card fees are higher.